April 24: Easter Saturday. The days so far are not much different from the ordinary run. Tomorrow is Easter Sunday. I trust it will be the last one in khaki. Had a long talk with Ralph last night – I think he is at last reconciled to going back. Tough break for both of us, but absolutely necessary. April 25: Easter Sunday. Group orders tonight – moving orders to Scotland for Combined Operations – probably means action in a few weeks. Feverish activity. April 26: Bee hives today. Everyone working like mad – but things are taking shape. Attended a personnel selection Board this evening. Have decided to keep Ralph – have have kept him. He would otherwise be kicked around in a Holding Unit. April 27: Still going strong everything taking shape. John Cross warned tonight he may be going back to Canada. Saw Mr. Spofforth tonight. Expect to go perhaps by Friday – we will go by train, but “B” Echelon will go by the road. Can’t be too quick for me now. April 20: Still camped on Downs. Jim and I spend every day out there but come in at nights. First Sherman Tanks arrive today, six of them. They are beauties. Spent last evening at Mrs. Freddie Adams. Had a nice evening. Phoned Spofforths. I believe she is now on the water. April 22: Mobilization orders came through today – meaning definite establishment in definite time etc. What it means beyond that, I don’t know. Large Canadian mail yesterday. Was on the Downs today in a fog – it was miserable and mighty hard to keep from getting lost. Great news for the men of Bomber Command. If you haven’t heard, Canadian veterans who served with Bomber Command during the Second World War will receive a special commemorative bar meant to recognize the contribution and sacrifice they made during the war. At least 10,000 Canadian airmen were killed. It seems these special honours sure take a long time to work their way through the system. It wasn’t that long ago that veterans of the Dieppe Raid, my grandfather included, received the Dieppe Bar. Even so, it is one more way we can remember the war, honour the veterans and pay tribute to the role Canada played during the war. 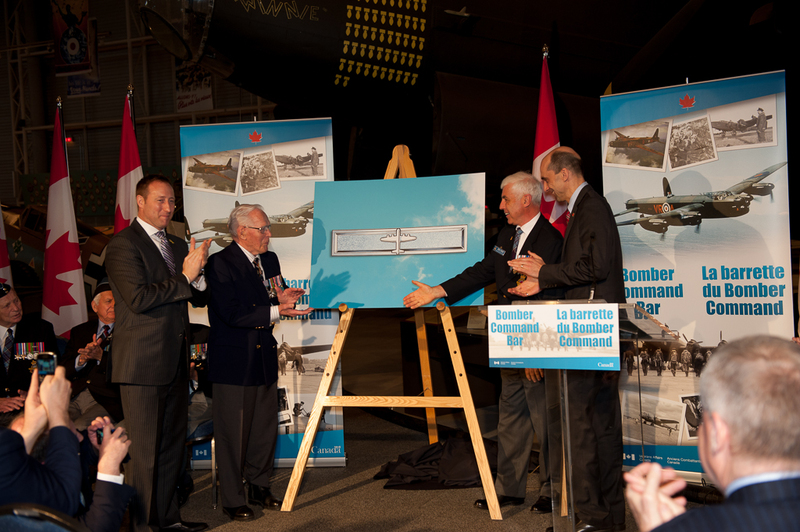 Minister Steven Blaney (right) and Minister Peter MacKay (left) unveil the Bomber Command Honour with Colonel (Retired) Terry Chester, National President of the Air Force Association of Canada (centre right) and Lieutenant-General (Ret.) William Carr, former Commander of the Air Command (centre left). 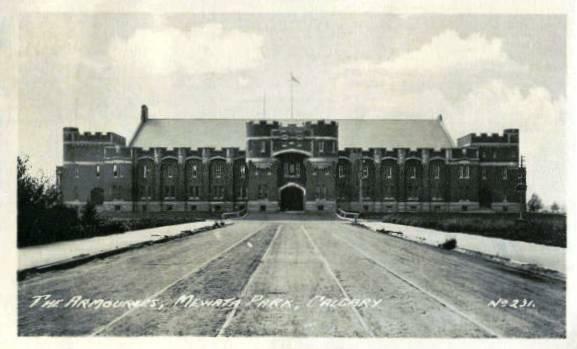 Veterans Affairs Canada. Move again to the Downs, about 10 miles out of Worthing – right behind Arundle Castle – we are living under canvas again. Will be her until about the last of the month. Return home by way of Salisbury and Winchester – arrive at Worthing about 6 p.m.
Col. Kealing at Tregantle Fort in Cornwall, 1941. Alexander family collection. Doc Alexander at Tregantle Fort in Cornwall, 1941. Alexander family collection. Tregantle Fort in Cornwall, 1941. Alexander family collection. Lost, and found, photographs of the Vietnam War. There’s a remarkable set of photographs making the rounds online these days. If you haven’t seen them, they’re worth a look. They’ve been hidden for the past 45 years and have only recently seen the light of day. Vietnam war rifleman and amateur photographer Charlie Haughey was given the task of taking photographs meant to improve morale – a very different role from photojournalists or combat photographers covering that war. Given that his approach was different, so too are his photographs. 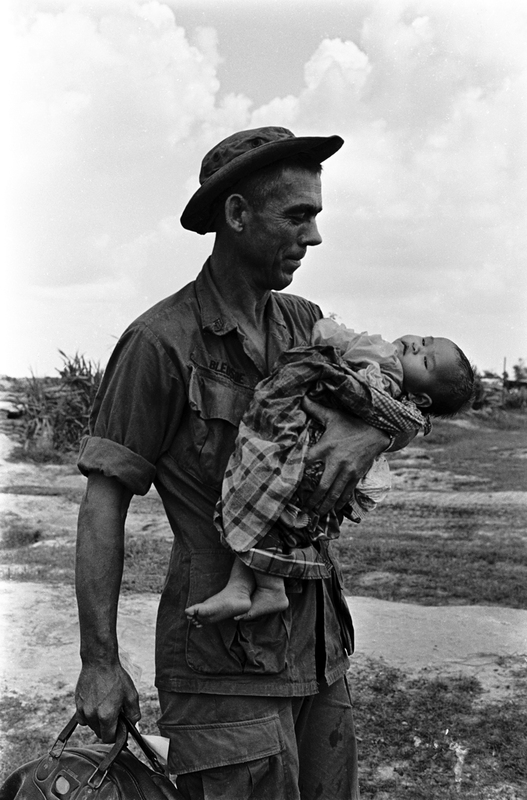 Many of his photographs show the human side of the American soldiers. It’s nice counterpoint to the iconic images from the Vietnam War, all of which are heartbreaking. Charlie’s photographs is a reminder, much like my grandfather’s Second World War journals, that beyond the stereotypes, the news or the history, there are real people involved in these wars.